What Will $2,100 Rent You In Philadelphia, Right Now? 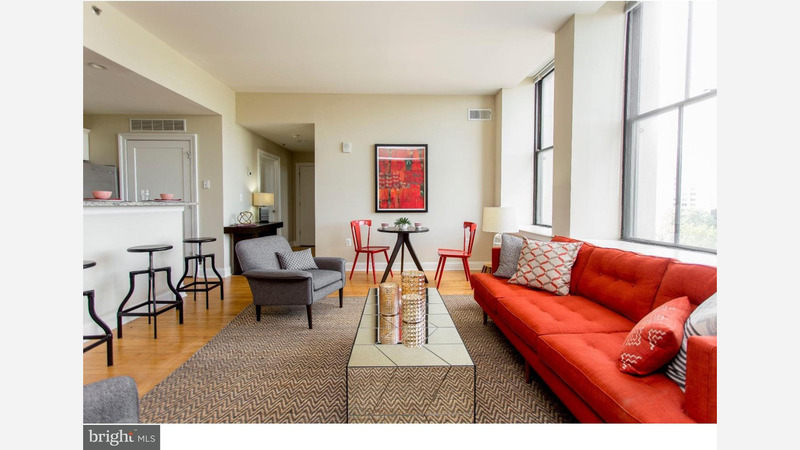 Next, there's this 1-bedroom, 1-bathroom apartment located at 34 N Christopher Columbus Blvd. It's listed for $2,075 / month for its 765 square feet of space. In the unit, there are hardwood floors, a fireplace, stainless steel appliances, ample natural lighting and in-unit laundry. The building has a fitness studio, a roof top deck and a residents' lounge. Sadly, pets aren't welcome. Here's a 900-square-foot 1-bedroom, 1.5-bathroom apartment at 38 N 21st St. that's going for $2,055 / month. In the unit, you'll get hardwood floors, granite counter tops, stainless steel appliances and in-unit laundry. The building has a gym and outdoor space. Next, check out this 1-bedroom, 1-bathroom apartment that's located at 320 Walnut St. It's listed for $2,050 / month. In the unit, you'll have a dishwasher, great natural lighting, stainless steel appliances, granite counter tops and hardwood floors. Both cats and dogs are permitted. Located at 406 S 9th St., here's a 750-square-foot 1-bedroom, 1.5-bathroom apartment that's listed for $2,045/ month. In the bright unit, you can expect hardwood floors, a fireplace and a balcony. When it comes to building amenities, expect outdoor space and on-site parking. Unfortunately, cats and dogs aren't allowed. Listed at $2,035 / month, this 685-square-foot 1-bedroom, 1-bathroom apartment is located at 200 N 16th St. When it comes to building amenities, expect garage parking, a roof deck, storage space and a fitness center. The unit has a mix of carpeting and hardwood flooring, stainless steel appliances and good natural lighting. Unfortunately, cats and dogs aren't allowed. Next, there's this 1-bedroom, 1-bathroom apartment located at 2308 Lombard St. It's listed for $2,030 / month for its 700 square feet of space. When it comes to building amenities, expect secured entry. In the apartment, there are hardwood floors, high ceilings, a dishwasher and in-unit laundry. Both cats and dogs are permitted.